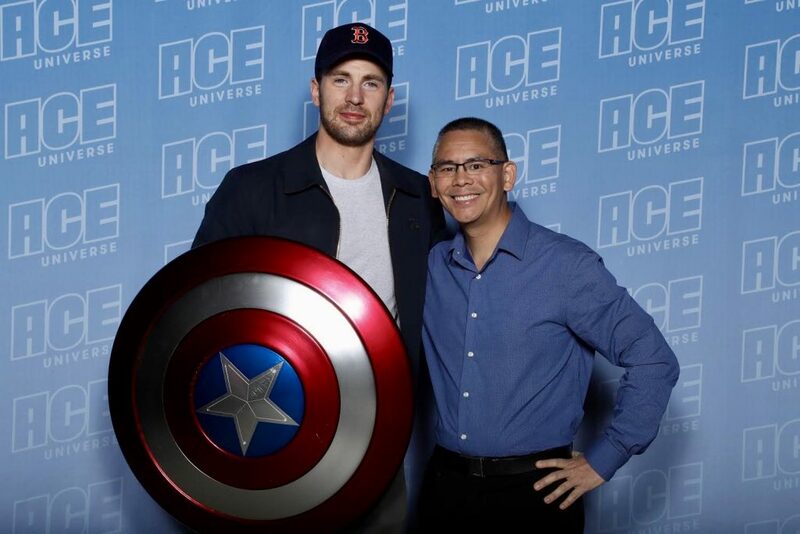 What Profound Life-Changing Words of Advice did Captain America’s Chris Evans Share with Dr.Chai? If you are a fan of the Marvel Cinematic Universe like myself, you probably agree that Chris Evans is the living embodiment of Captain America. I grew up reading comic books and one of my favourites was Captain America. He wasn’t the strongest Avenger, but he would lead the Avengers into battle with unwavering conviction, heart and determination to do what was right and win the day. He never gave up no matter the odds and that was what made him a great hero. What Did Chris Evan’s Say? To me Chris Evan’s captured that perfectly and why in my eyes he is Captain America. So when I got a chance to meet him in person I was on cloud nine. Chris was surprisingly very humble and down to earth. One of the topics that he did talk about over that weekend was about Self-Esteem and Self-Confidence, and how he like myself is pretty introverted and how he himself struggles with that too. He talked about that the most important thing to do when you are feeling blue is to do something positive and work through whatever is holding you back from living a fulfilling life and address it head on. I grew up reading comic books and one of my favourites was Captain America. He wasn’t the strongest Avenger, but he would lead the Avengers into battle with unwavering conviction, heart and determination to do what was right and win the day. He never gave up no matter the odds and that was what made him a great hero. To me Chris Evan’s captured that perfectly and why in my eyes he is Captain America. So when I got a chance to meet him in person I was on cloud nine. Chris was surprisingly very humble and down to earth. One of the topics that he did talk about over that weekend was about Self-Esteem and Self-Confidence, and how he like myself is pretty introverted and how he himself struggles with that too. He talked about that the most important thing to do when you are feeling blue is to do something positive and work through whatever is holding you back from living a fulfilling life and address it head-on. Now, as a dentist the first thing I think about is people’s smiles. I think you would agree that Chris Evan’s has a beautiful smile. If he didn’t have a nice smile, and had jacked or crooked teeth, he probably would not have been cast as Captain America. I think Chris Evan’s would definitely agree with me that everyone deserves to have a smile that they can be proud of. Not only that, but Everyone deserves to have a healthy, pain-free and disease- free mouth as well. That really should be everyone’s goal for their mouth… a healthy mouth and a Smile they absolutely love. This is probably the single most fulfilling thing I do for my patients. There is no better feeling for me as a dentist then when a patient looks at their new smile for the first time. Whether it be pure elation or tears of joy, the day a person sees their new beautiful smile and the new confidence and exciting possibilities that brings, it’s life changing. 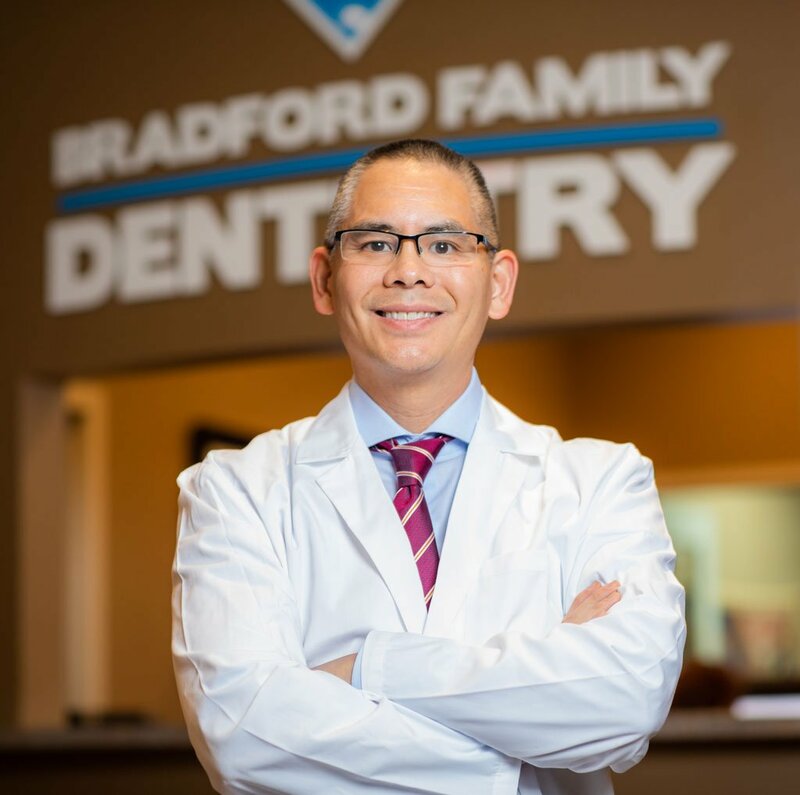 At Bradford Family Dentistry we want to help you reach that goal or whatever level of health you want to achieve. One of the ways we help our patients achieve that is with our Tony Stark-like Cerec Technology. Using what I can only describe as a “Super Computer” we scan your mouth and we can design and create, out of porcelain, your new smile. This “Super” Technology allows us to restore your broken, chipped, or misshaped teeth with Beautiful life-like porcelain restorations in as little as an hours time. That means no more messy impressions and no more temporary restorations you have to walk around with for two weeks and pray do not fall off. The best thing, of course, is that there is no second visit which means you don’t have to be frozen up all over again, nor waste precious time coming to our office again for no reason…It is all done in one single appointment! 2019 © Copyright. by Jesse Chai Dentistry/ACI, Bradford. All Rights Reserved. A WEBSITE OF DISTINCTION BY OUTSOURCED MARKETING INC.